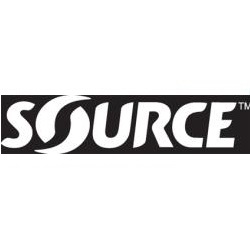 SOURCE was founded in 1989 by Yoki Gill and Daniel Benoziliyo and now employs more than 200 workers. It has always been a groundbreaker in hydration and sandal technology and is well known in the Tactical Gear, hiking sandals, hydration and travel accessories categories worldwide for over 20 years, currently selling in more than 25 countries. Our products are produced in-house at our ISO 9001 certified factory, located in Tirat-Carmel, Israel. Compatible with Source QMT Quick Mate Technology accessories. Features insulated UV-block weave cover.